Although the iPhone 4’s reception issues get all the press attention, the iPhone 4 has another pressing issue: the tendency of the proximity sensor to misread how close your face is to the handset, which can in turn cause the touchscreen to turn on when it’s close to your face, allowing your chin or cheek the unfortunate liberty of blindly dialing or even hanging up during a call. The proximity sensor issues are commonly theorized to be a software issue, but according to an Apple Store Genius spoken to by TUAW’s Aron Trimble, we may be looking at another design flaw. Why? According to the Genius, Apple had to move the proximity sensor location in the iPhone 4 so that it actually points into the ear canal during a call. 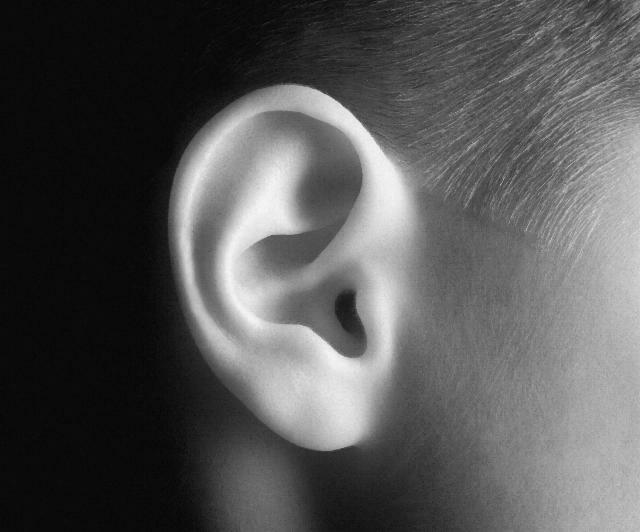 That means that if you have particularly glistening ear canals, light bouncing around the ear canal can mistakenly tell the proximity sensor that you’re no longer on a call. The Genius’ recommendation on how to fix the issue? He said that you should make your calls from somewhere darker. Interestingly, the Genius probably got it all backwards. As a commenter on TUAW points out, the proximity sensor actually works by bouncing an infrared LED around. If that IR beam reflects back upon itself, the iPhone 4 assumes your head is pressed against the touchscreen, in which case, a particularly unreflective ear canal might be the problem. That groks. If the iPhone 4’s proximity sensor merely registered light, it wouldn’t work at all in the Genius’ “ideal” calling location of a totally dark room. Either way, if ear canal reflectiveness is the issue, it seems to speak to a design flaw of proximity sensor location… albeit one that can probably be fixed by a software update decreasing the proximity sensor’s sensitivity. Perhaps the most frustrating aspect of the whole thing? A lack of clear confirmation about whether keeping our ears cleaner, or dirtier, will help fix the problem. I don’t know if I should buy some Q-Tips or cram dirt down my cochleas.